I just wanted to show you some gets that I got from some of the members here! I'm fairly new and I already got some nice stuff! 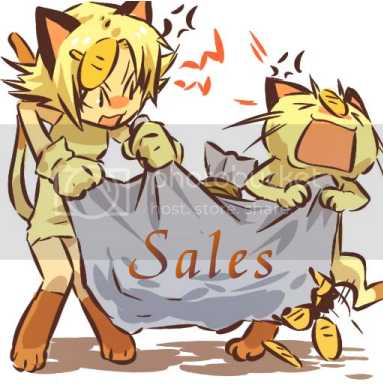 Click through the Totodiles to get to their auctions! Sales permission granted by dakajojo on 9/25/11! 40% off on all custom stickers for 1 week only! So I have a lot of stuff to part with, and my stickers and artsy things are getting shipped over early to save money with UPS later and such. I'll have a mini sales post later this week, including a Gengar plushie (I know it's 2009 Poké Cen but cant be sure if it's a Pokédoll?) and a Tepig keyring and other things that aren't useful to me right now haha. Happy New Year everyone! :D At the beginning of this fine new year, It is my pleasure, to bring you a GA full of Meiji Promo Cards! i have a question: what is this white board? Beginning of 2012 Kids Sale! Anyway, as I've posted before, I have quite a plethora of leftover kids from October, September, and August. Now that all Decembers orders have been shipped, I have added December kids to the kids sale! :D In order to not clog up the front page, I will just put pictures of the kids for sale below, and explain pricing under the cut! 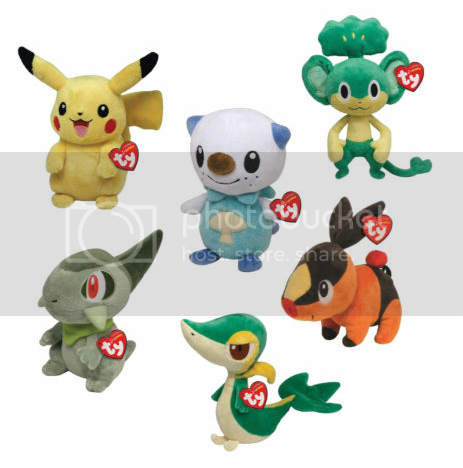 WB Treecko Card Auction, Pokedolls, and Human Kids! Well...I've found myself in a position where I would like to have some extra cash. (Curse you pair Pikachu items and your adorableness!) So today I bring you a rare WB Contest Treecko Card, A few Pokedolls, A rare Skymin keychain, and human kids! There are still plenty of plush and figures that need a home there! I AM open to haggling if you see a price you don't like! Now onto the auction and sales! It'ssss Sunday! 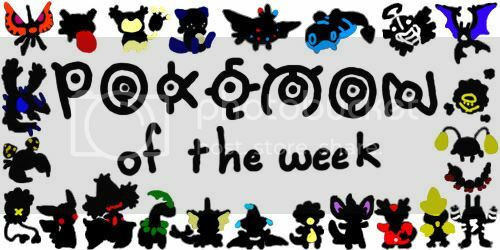 Which means it's POKEMON OF THE WEEK! Cross your fingers for your favorites and let's get to it! Today I will be GB'ing this set of plushes! -There will only be one payment of $18, which will be due once there are claims on every item. -I expect payment within 24 hours of notice. Failure to pay promptly will result in negative feedback. -I will be doing everything, buying, shipping, etc. Price: $18 shipped anywhere in the world. Hello! since i joined here, my want list has reduced, and discover new figures that i want, and i'm sure there are more that i don't know they exist. So here is the list!! well, actually some old ones..lol, but for new eyes hopefully! JYNX anything really! try me! jynx megablock, jynx tomy figure (loose preffered, but in pack ok), jynx zukan by itself (because i know someone, somewhere lost the smoochum), jynx swing or figure keychains! hope this new year brings all your grail wants!! This new system completely replaces the old LJ-comment feedback system. ALL feedback from now on, negative and positive, will be hosted on the new system, and feedback left as LJ comments will no longer be valid, either here or on one's personal LJ. Just log in with your LJ username! (You'll need to be logged into LJ first, as the system passes login through LJ.) You should be right to log in now even if you have underscores at the start/end of your LJ name! Once you're logged in, you can save your email address to be notified whenever someone leaves feedback for you, and link to your old feedback. You get one old feedback link! If you're like me and have had the same feedback thread since you joined the comm, you can link to that, or you can make a public post in your LJ and link to all your past feedbacks like this. This is optional, but highly recommended! All positive and negative feedback is on this system now, there is no separate negative system. Feedback in the old system generally used a rating out of 5, but most people just used 5/5 all the time so this was deemed unnecessary! You can now simply leave positive, neutral or negative feedback. There are no separate sections for items bought/sold/traded. If you like you may put these (along with anything else you'd like to say) in the comments section, but this is completely optional! You can leave this section blank if you like. There is a field where you can link to the thread where the transaction was made; again, this is optional. denkimouse has volunteered to enter all the existing negatives by hand, so don't worry - you will be able to see these easily on the new system too! Lets you (actually, makes you) log in through LJ, so your feedback account is linked to your LJ account. Gives you easy ways to leave feedback, view feedback anyone has received and left, filter by rating and see who's on the Wall of Shame for receiving 3+ negative feedbacks. Gives you a direct link that people can use to leave feedback for you. Lets you respond to/follow up on negative feedback. Handle username changes! If you are changing your username and want to carry your feedback over, please first log into the system with your new username and then contact me (for now) with your old and new usernames and I'll arrange for that. Accept people who use LJ through other sites, as this would have caused issues leaving feedback for them before they sign up. If you use pkmncollectors by logging into Facebook, Google or some other service and you'd like to use the new feedback system, please upgrade your account to a full LJ account by going to your LJ account settings page. This post also serves as the official feedback system support post, at least for the moment. I have tried to make the system as clean and easy to use as possible. If you have any questions about it or any suggestions/requests, feel free to comment here and I will reply to you as best I can! This is not a final release, there are always improvements that can be made and I already have some planned features to implement in later versions :) While I have tested it, it is a brand-new system and it was tested on a different server, so if you get an error please tell me what happened! Also, thanks to everyone who tested the system, you guys gave me some great feedback and suggestions! And a HUGE thank-you to denkimouse who fronted a lot of cash to host the system when our current hosts just weren't cutting it. If you're getting an error like "No usable OpenID services" when you try to log in, it's likely you have a custom style and didn't include the LJ headers. Please visit this LJ FAQ and ensure that your journal has at least one of those tags (I recommend using one of the first two, as they also give you all the tags for other feeds etc). If this still doesn't fix your problem, please let me know what error you are getting! Just a reminder that my auctions end on January 3rd! BIN $100 (free insurance within the USA) NOW FREE SHIPPING TOO! CLICK LINK ABOVE TO SEE AWESOME BOX! Hi everyone. I am just making a quick post to ask for some feedback on the new system, I haven't asked for it for anyone since July so i'm a bit backed up. If you want me to give feedback for you,just ask! I haven't done a collection update in awhile,but i'm just going to start from this year on, I need to just put everything else away. Happy New Year! Anyways I still am not able to post pictures :( but I have a few updates. Pokecen U.S/JPN Sceptile Pokedoll,whichever is cheaper. I sadly missed 2 opportunities to get this guy.I lost an ebay auction about 3 weeks ago and he sold for $61,and I also lost another one in which the reserve was $95 when I had no money.Meh whatevers will get him someday. Payment 2 for Giant Plush GA! Shipping came out to $145 for shipping so that's only $6.05 a plush! Happy New Year Pokemon Collectors. Hope you've been enjoying this festive season, it's finally ended for me so I've got time to post more auctions. Not many of the auctions sold the last round, so I've lowered the starting prices as well as added more items. 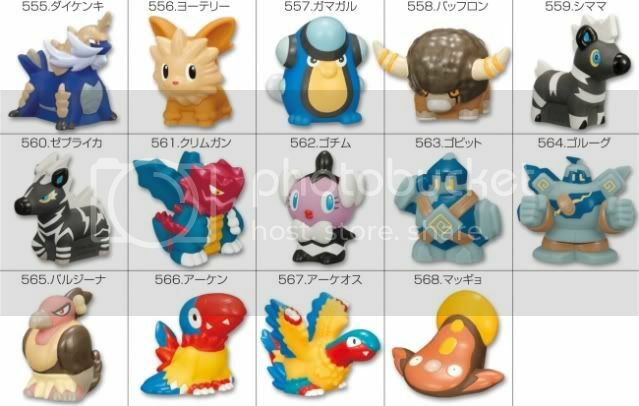 This includes Zukans, Clear Movie Tomys, Minun DX Pokedoll (Rare, brilliant for all Minun/Plusle Collectors and Don't worry its a spare I won 2). As well as some leftover kids from my previous sales. New Years Collection Update + A Couple of Wants! Thought I'd start the New Year off with a collection update! I just rearranged my shelves and got some great packages/Christmas presents recently =D Here's a quick preview! 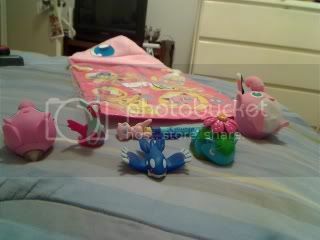 I also took a few pictures of a very special pair of gets from recently - a DX Yawarakai Mew and Mewtwo! =D I've kinda sorta reviewed them both but not really. LOL. Lastly, a couple of wants! My one year anniversary was last month and though I achieved my main goal here and obtained my big grail's I still have a small collection to complete. I'm looking to finish one of the trainer badge sets that came out some time ago. I managed to pick up a few here and there but ultimately the badges seem to be far between or thrown in with big auction lots I cannot afford. 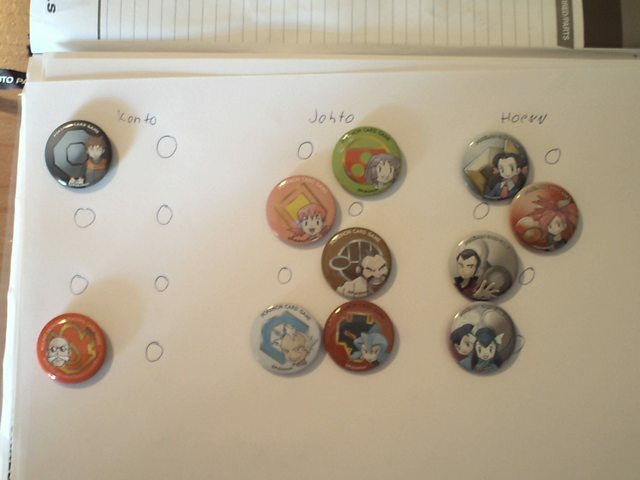 With that being said if you have any trainer badges that do not appear in the image below I'd love to hear from you. We have little less than a day for this auction. There is some heavy competition for this lot. So, I want to remind everyone. We are not only bidding against each other, but bidding to win the auction. So, if you really want an item, please bid what you are willing to pay, not just enough to beat the other GA participants. Good luck to us all. Intro post and a want! Hi everyone! :) I kind of found my way here around a month ago as part of Pokemon slowly but surely taking over my life. First getting back into the games in 2009 for the first time in several years, then back into the card game in 2011 (finally getting my first tournament win on New Year's Eve!)! And somewhere along the line this year I started to get a taste for the merchandise. Started with buying some imported deckboxes and sleeves, then grabbing a couple small figures at a flea market, finding a Tepig backpack in a store and starting to use it to carry my deckbox and dice, winning Landmin and Squirtle plushes from a claw machine at Cedar Point... probably shouldn't have found my way here really because it's going to kill my wallet even more than keeping up with the card game, lol. 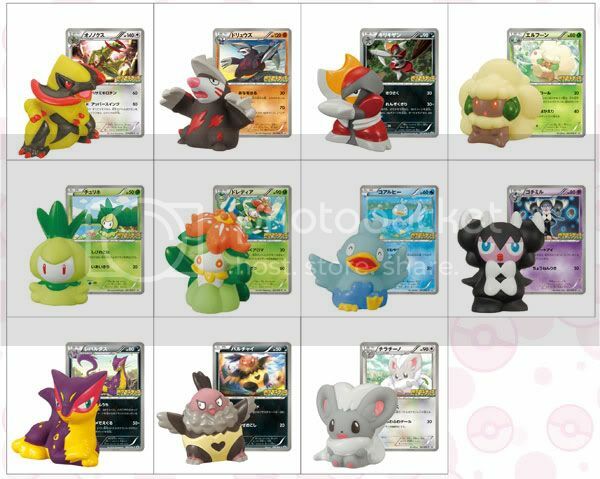 I think my tastes range to Pokemon that I like because I played their card in a deck and fondly remember it, or had it in a team in the games, or just ones I like the look of! I don't have enough of really anything yet to start showing off but once I amass a bit I'll probably post some pics. 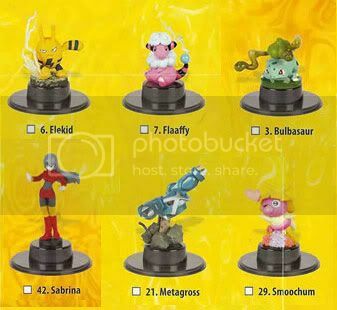 Favorite has to be Bayleef, and that's primarily what I've been looking for. Can't say it's easy to find much for a fairly unloved middle-evolution, but I think it's going to be my main collection!